Dr. West's mission is to provide quality, conservative, comprehensive dental care to entire families in Chapel Hill and Carrboro. 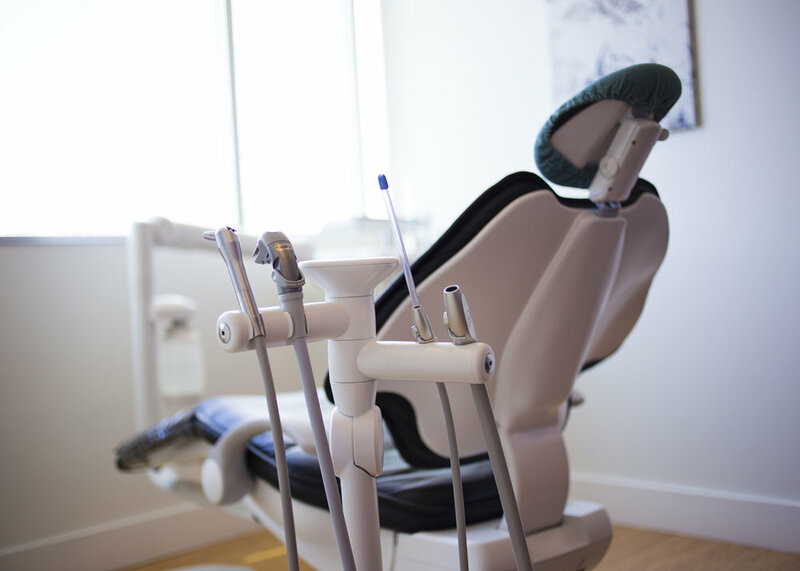 This means we utilize the latest technology and techniques to provide the highest possible care, while also exercising judgment to preserve tooth structure and avoid aggressive treatment. All non-emergency new patients undergo a comprehensive exam and set of x-rays, including a full periodontal assessment and review of a detailed treatment plan. Dr. West performs a wide range of procedures, but also takes advantage of the excellent specialists in the area to treat every one of his patients' needs. Dr. Jeffrey West is a North Carolina native, having grown up in the mountains around Asheville. He earned a BA in History from the University of North Carolina at Chapel Hill before attending Tufts University, School of Dental Medicine in Boston, MA. Dr. West has practiced in the Triangle since 2008 and opened his own practice in 2011. Dr. West is a member of the American Dental Association and the North Carolina Dental Association. He also has volunteered for years at the Durham Rescue Mission, practicing dentistry on the area's underserved in the Samaritan Health Center. Dr. West currently serves on the board of the Samaritan Health Center. He and his wife, Crystal, love mountains, and have backpacked all over the east coast, Alaska, in the Rockies, Sierras, Alps and Himalayas. The pictures throughout the office are all from their trips. Dr. West also enjoys fly-fishing and running. They live with their son, Owen, daughter, Evelyn, and their dog, Gus, in Chapel Hill. 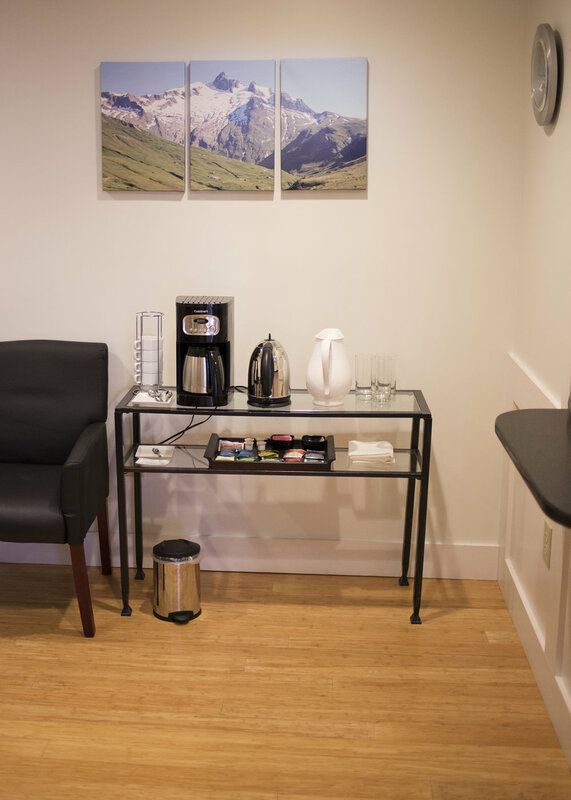 Your first appointment is vital to establishing a relationship of trust and comfort with our office. After meeting our friendly staff and turning in or filling out the necessary forms, you will have the opportunity to speak with Dr. West about any questions, concerns, or treatment desires that you have. He will then perform a comprehensive exam including digital x-rays, an oral cancer screening, and a full periodontal assessment to check for any signs of tooth decay or gum disease. If you have any treatment needs, Dr. West will then discuss his findings and review a detailed treatment plan with you. If you would like, there is also often time at the end of the visit to clean your teeth or address a specific issue that is bothering you. The cost of your first visit depends on many factors including what treatment you are having completed, your insurance coverage (deductibles, co-pays, etc), if your previous dental x-rays are up to date and available, and more. Please give us a call if you would like to discuss your specific situation. We will always be upfront about any of the costs associated with your treatment and encourage you to ask questions any step of the way. 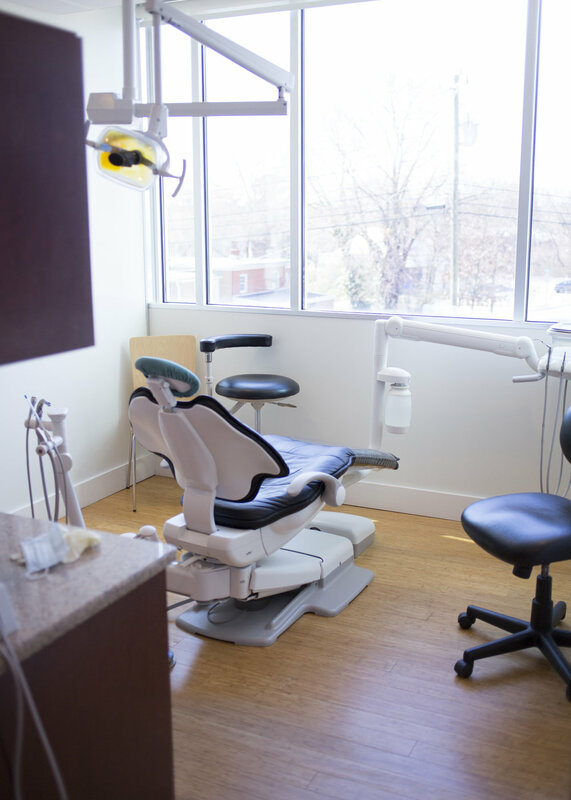 As an office, we strive to provide excellent value for your dental dollar by avoiding over treatment and providing conservative, quality, patient-focused care that lasts. We accept all major insurance plans and our staff will be happy to file your claims and take care of the paperwork for you. If you want to talk details or have questions about your insurance, please call the office and we will be glad to provide you with more information about your specific plan. Free parking is located under the building in the garage entered from North Merritt Mill St. Proceed down the ramp and make two left turns to find two spots with Dr. West's name on them where patients can park during their appointments. The West Tower elevators will take you to the second floor, where our office is located in suite 219. Please use this form to request appointments or other information. We will respond within one business day. You can also reach us on the phone at 919-636-9123. Do you prefer morning or afternoon appointments?